That box office success is not the yardstick to measure a film’s greatness is something most seasoned directors will tell you. A lot of factors often result in the numbers dwindling and expanding at the box office—besides the quintessential “good”-ness of films, marketing, timing of the release, theme’s contemporary impact, to plain luck. Here we talk about some of the films that weren’t box office stunners but went on to garner a cult following years later. Panchavadi Paalam (1984): Directed and written by KG George, based on a short story of the same name by literary humourist Veloor Krishnankutty, the film features an ensemble cast and mocks the socio-political scenario in the state in the guise of hilarious caricatures and a farcical storyline. A film was ahead of its times, it exactly portrayed the recurring disorder in Indian politics — corruption. According to the director, Sreenivasan’s character Kathavarayan, who gets killed in the climax of the movie in a bridge collapse, portrays the plight of the common man. Set in an imaginary Airavathakuzhi panchayat, the movie is a hilarious take on how warring political groups rally together to construct a new bridge with the support of corrupt officials and contractors (this part was later reproduced in a different narrative in Priyadarshan’sVellanakalude Naadu). Ironically, though the film remains the director’s most expensive work among his 19 films, it failed to make any impact at the box office. Despite this, it’s now considered one of the greatest political satires in Indian cinema. Irakal (1985): Directed and scripted by KG George in the aftermath of the Emergency, it’s a compelling psychological thriller built around a family foundering under the weight of the violence it spawned. It’s the rawness of the characters in that dysfunctional family who have no regard for morality that haunts you. You get the grim picture of neglect, abuse, and overindulgence. With an ensemble cast [Sukumaran (also producer), Bharath Gopi, Thilakan, Srividya, Nedumudi Venu and Ganesh Kumar), Irakal was never regarded as one of the director’s best works. It’s only much later that the film was feted for its original screenplay. The film really set the precedent for the Christian alpha male characters in Malayalam cinema, which was later recreated by Dennis Joseph and Renji Panicker in their films. Dasharatham(1989): Adapted from the 1980 Tamil film Avan, Aval Aadhu, the Sibi Malayil-directorial scripted by Lohithadas, during the time of its release, was considered radical for its theme of surrogacy. A rich young orphan (one of Mohanlal’s finest acts) opts for surrogacy to end his loneliness and to find an inheritor to his endless wealth. But the surrogate mother’s overwhelming love towards the child prompts him to hand over the baby to her, resulting in a heart-breaking climax. The unconventional theme and ending may have worked against the film, which performed averagely at the box office. Today, of course, every bit of Dasharatham is celebrated, including the climax. Utharam (1989): Scripted by MT Vasudevan Nair and directed by Pavithran, Utharam is based on Daphne du Maurier’s short story No Motive. 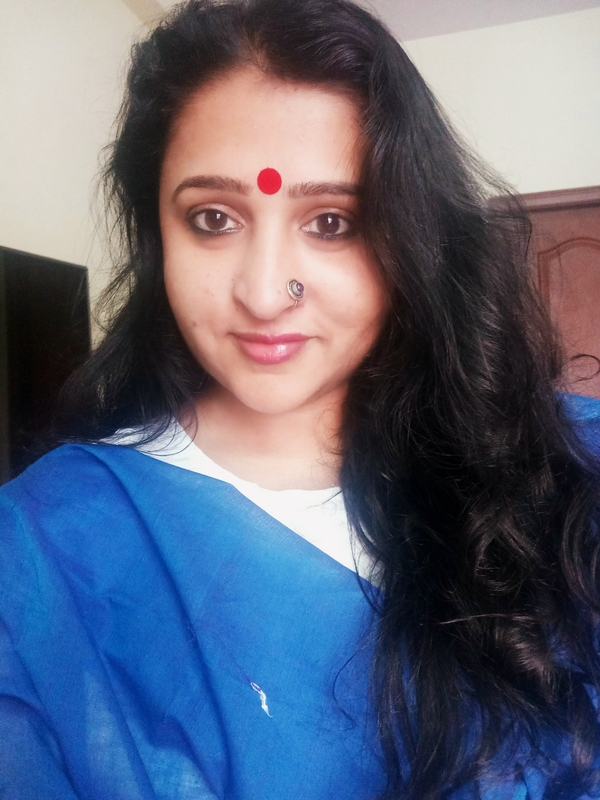 Selena Joseph (played by Suparna, who is grace and mystique personified), an award-winning poet, shoots herself one morning. The husband Matthew Joseph (Sukumaran) hands over the investigation to a close friend Balu (Mammootty), making it more complex and personal. The characters slowly unravel through one of the most unconventionally delivered and profoundly human investigative tales of a long forgotten crime, deliberately erased by society. But the film was dubbed too arty, due to its pacing and narrative style during the time of its release and didn’t get the audience it deserved. Today it is called one of the finest investigative thrillers in Malayalam cinema. Thoovanathumpikal (1987): Director Padmarajan (based on his book Udakkappolla), grapples with the complex layers of love and lust in a man-woman relationship. It’s unconventional from the word go—be it the leading man Jayakrishnan and the two women he falls for—the alluring Clara and the headstrong Radha. Even when he is in love with one, he is unable to shrug himself off the responsibility he feels towards the other. Finally, love triumphs in this finely-crafted, beautifully-orchestrated musical set in a rainy backdrop. Widely rated a modern-day romantic classic, the film provoked a culture shock from a prudish society. Thirty years later, it enjoys cult status and almost every aspect of the film—be it Jayakrishnan and Clara or the terrific BGM, is revered and celebrated in all its glory. Varavelppu (1989): One of the finest and most-underrated films from the Sathyan Anthikkad-Sreenivasan stable, Varavelppu dealt with the issues of Gulf Malayalees. It had loads of humour, touched on the socio-political scene, and had Mohanlal in fine nick. Why the film didn’t create the desired impact remained a mystery. Maybe a lot can be attributed to the frequency at which their films where releasing during that time. And yes, despite the potent Sreenivasan brand of humour, it wasn’t one of those happy films. Maybe that also counted. Thazhvaram (1989): The Bharathan-MT Vasudevan Nair revenge thriller in the backdrop of dusty heartlands, with two scintillating protagonists who rough it out to win the final battle of life, was our first film truly in the class of the Spaghetti Western genre. Unfortunate that it failed to draw in the crowds. 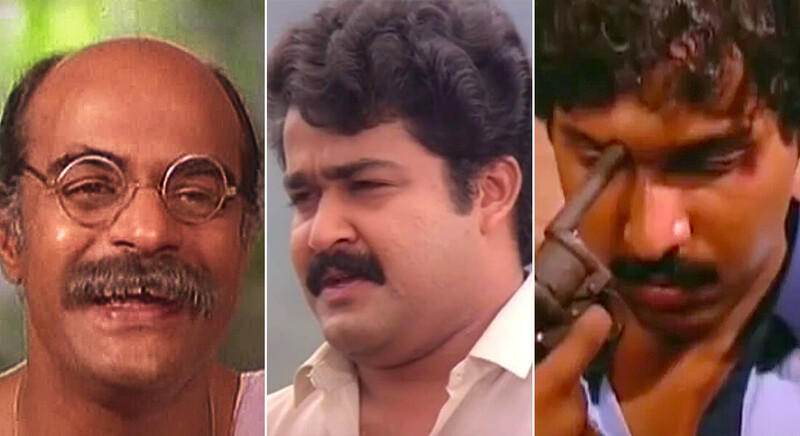 Now, of course, it’s an annual event, like in the case of Thoovanathumpikal, to celebrate this cult classic—Mohanlal, the BGM, as well as the red-eyed swashbuckling villain. Sadayam (1989): MT Vasudevan Nair scripts a deeply emotional and disturbing human drama about a man who kills two innocents to save them from a life of misery. With a superbly understated act by Mohanlal, Murali, and Thilakan, Sadayam for all its critical acclaim, remained a non-performer at the box office. Twenty-eight years later, it’s marked one of the most important films of our times. The climax scene where Mohanlal’s Sathyanathan, in a fit of mad frenzy, knives the two little girls in the backdrop of colours and paints —remains one of the most chilling scenes in Malayalam cinema.